Apple TV cannot connect to iTunes Store? Read on this guide to fix the Apple TV can’t connect to iTunes Store error with some reliable yet efficient solutions. As the #1 iPhone/iPad repair tool, PhoneRescue can help you easily repair iOS errors, including stuck on Apple logo, reboot cycle, system crash, locked after update, etc. It also supports recovering iOS data. "My Apple TV was working just fine, but since yesterday I'm not able to connect to iTunes Store. Every time I try to connect to iTunes Store I get the same message: "Apple TV can't connect to the server at this time. Please try later". You may have encountered the same situation like above Apple user that your Apple TV cannot connect to iTunes Store. This error can be caused by various reasons. Whatever the reasons might be, you can find the possible solutions to corresponding case in this guide. And here in the following, we will list those reliable and efficient solutions to help you easily fix the Apple TV cannot connect to iTunes Store error. Just keep on. Make sure that your Internet router is connected to your modem and that both are powered on. Select Test Network to see if there are any problems with your Internet speed. Refresh your connection by disconnecting and reconnecting to it. Check if your computer or iOS devices are able to access the Internet and are connected to the Wi-Fi Network correctly. If so, verify the wireless security settings on your router. Otherwise, change the channel in your wireless router. Check if the date and time on your Apple TV has sync issues. Go to Settings > General > Date & Time and make sure the date, time and Time Zone options are set correctly. To avoid the same connection issues caused by incorrect date and time, you’d better set Data and Time to automatic settings. In this way, it will update itself automatically. Step 1. Go to Settings > System > Software Updates > Select Update Software. Step 2. If there's an update, click on Download and Install. 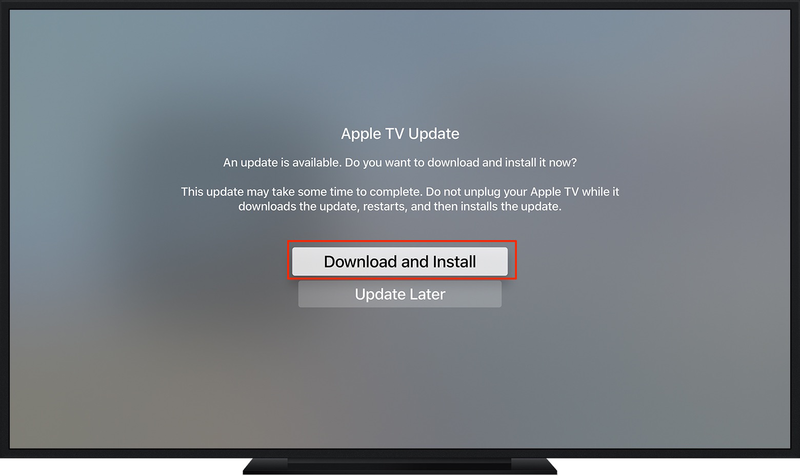 After the update downloads, your Apple TV will restart and prepare the update. After Apple TV prepares the update, it will start to install it. When the update is completed, your Apple TV will automatically restart again. 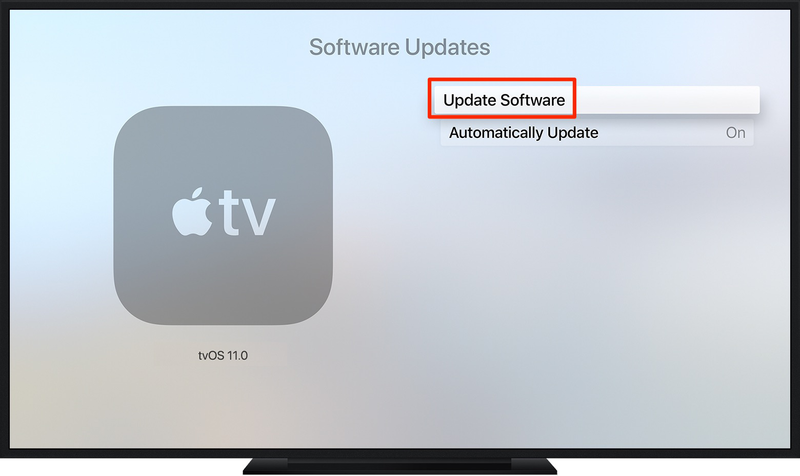 If you prefer, you can set your Apple TV to automatically install new updates when they're available: Go to Settings > System > Software Updates > Turn Automatically Update on. Apple TV 4K or Apple TV 4th generation: go to Settings > System > Restart. Apple TV 3rd generation and earlier: go to Settings > General > Restart. Siri Remote or Apple TV Remote: Hold both Home and Menu buttons for 10 seconds. When you see the white light on your device begin flashing, let go of both buttons. Apple Remote: Hold both Home and Down buttons. Let go of both the two buttons when the light on your device flashes. If above methods fail to restart you Apple TV, unplug your Apple TV from power. Wait for roughly six seconds, and then plug it back in. With above 4 solutions, you may have successfully fixed the Apple TV cannot connect to iTunes Store error. If you have any other trouble on this issue or this guide, feel free to leave your comment below. We will go through the problem and reply you soon.